If you’ve been paying attention in Darlington, you may have noticed that there is a new place to eat in town. 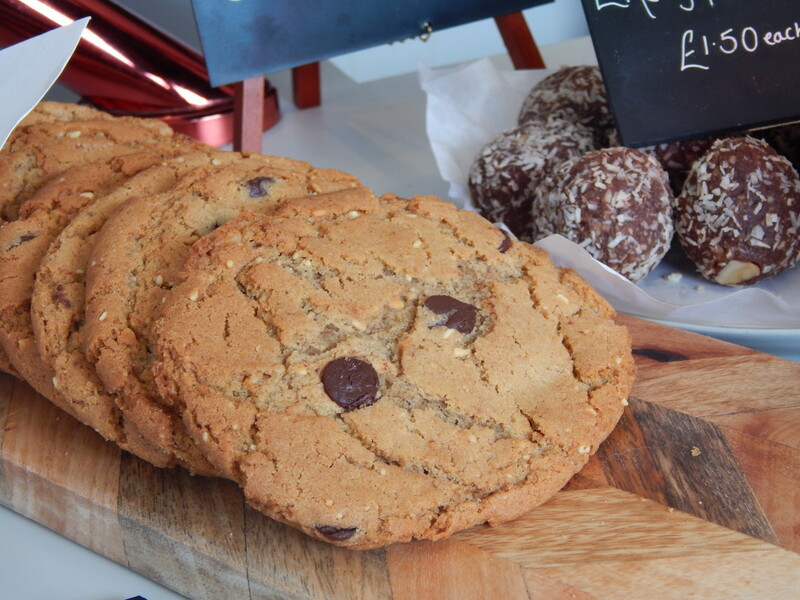 The geniuses behind Hash have recently opened a smaller sister site in the town centre. Since I love Hash so much, I convinced Sam to try it out with me when we were in town recently. 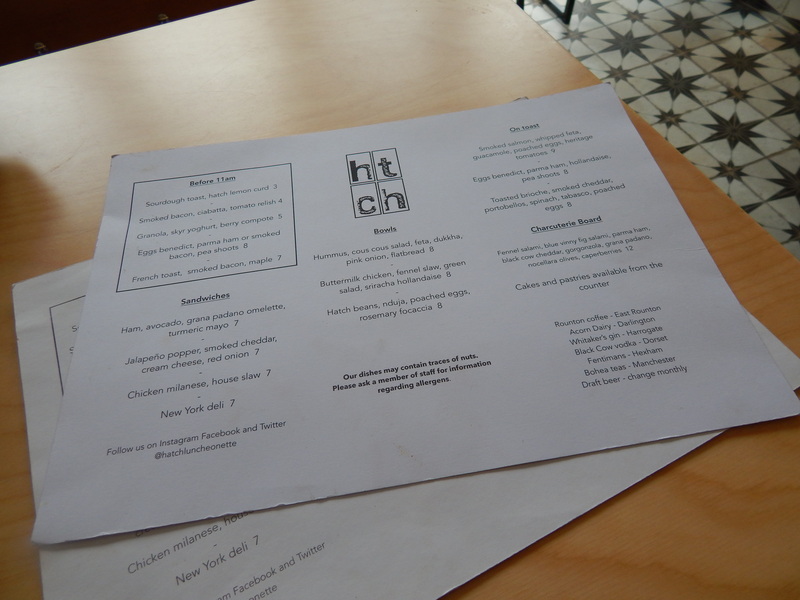 As I’ve mentioned, this new venue is smaller than Hash, with the menu to match. It does seem to have a changing selection of specials however. I was certainly intrigued by most things on offer and would like to work my way through them in the future. I was definitely tempted by the breakfast menu. 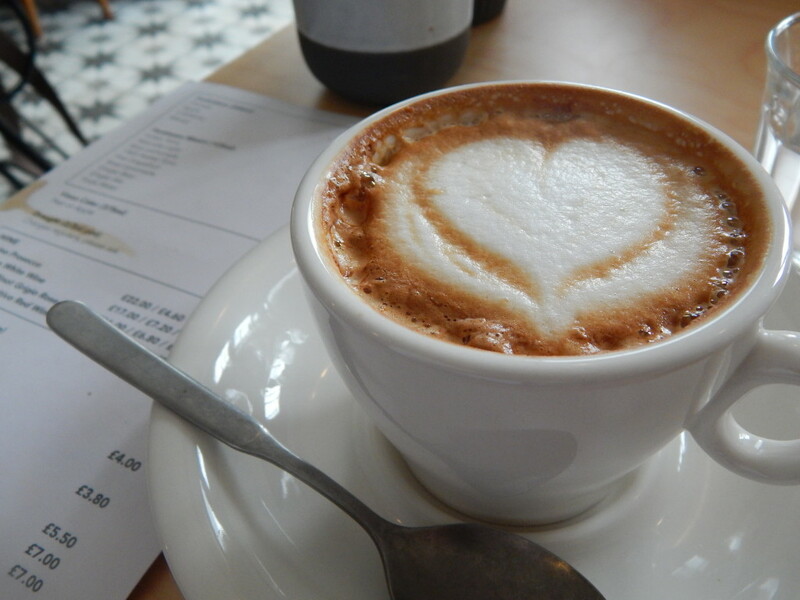 I could only choose one thing to start with though so, with a flat white in hand, I tried to make the very difficult decision about what I wanted to try first. 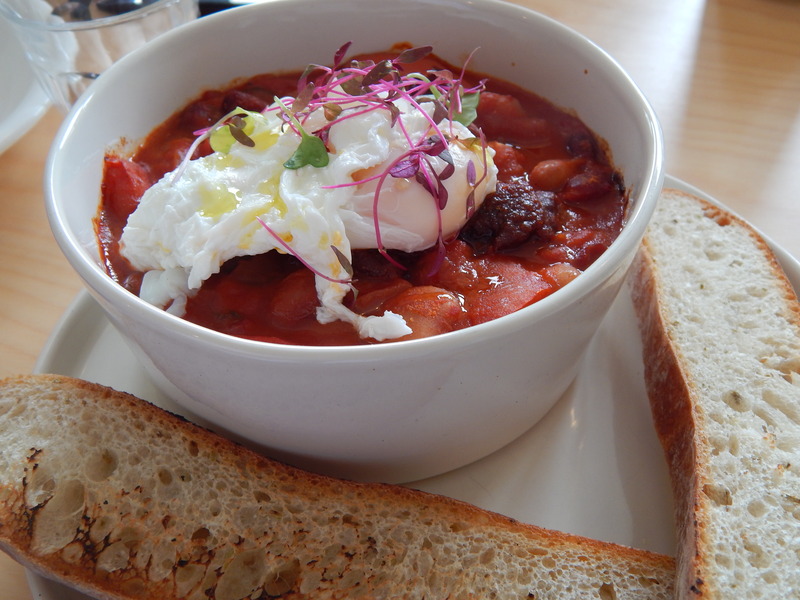 I managed to narrow it down to trying one of the ‘bowls’ and after asking the staff for their recommendations, I tried to decide the Hatch beans. This was a spicy bean and red pepper stew. 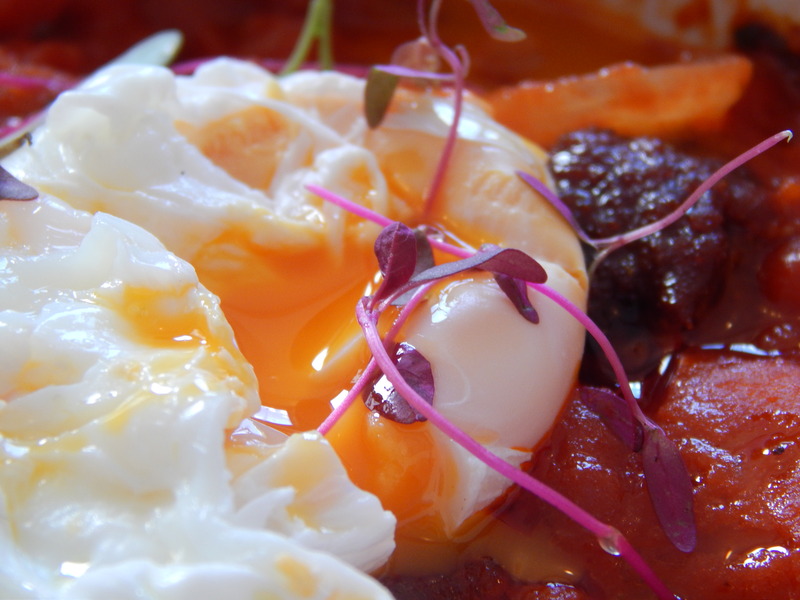 It was topped with nduja sausage and a perfect poached egg. It was a fantastic combination of flavours and seriously tasty. I could have eaten it all day, if only it wasn’t so filling! I’m not going to complain about that though! 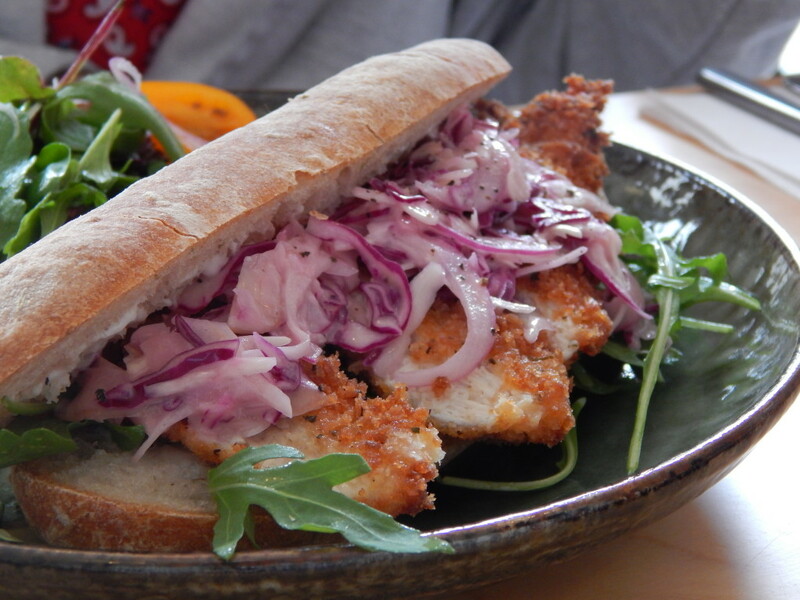 Sam decided to try one of the sandwiches and chose the Chicken Milanese with homemade slaw. This was also a very generous portion so she let me try a bite of it It was seriously good and I think I might get one next time I’m there. Since our food was so filling, we didn’t have room left for pudding but I have to say that the cakes looked lovely. Next time I’m looking for a coffee and sweet treat, I think I might pop in and try one for myself. 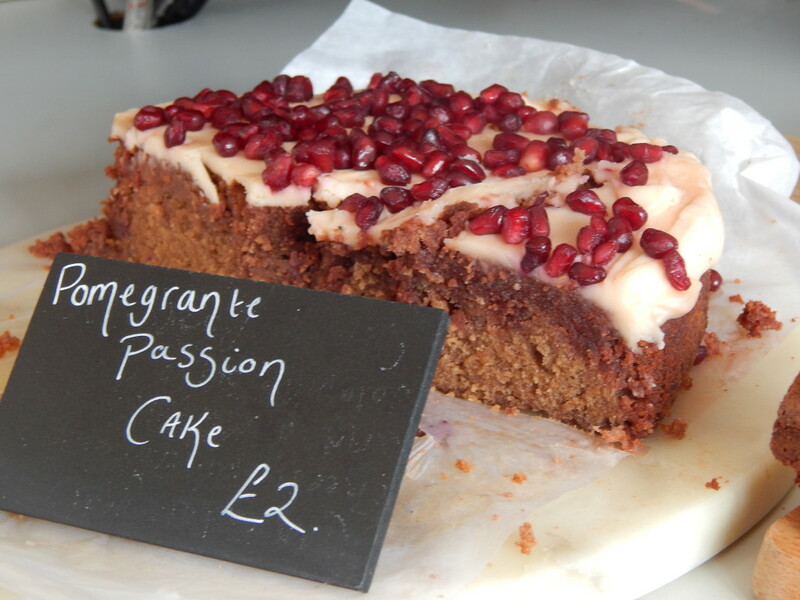 I was seriously tempted by the pomegranate cake or the brownie!